Blue Angel is a canava house, where wine used to be made in the 18th century. Part of it is built inside the rock and it is very warm in winter, cool in summer and althought it is built in the most cosmopolitan area of Fira it is very quiet. 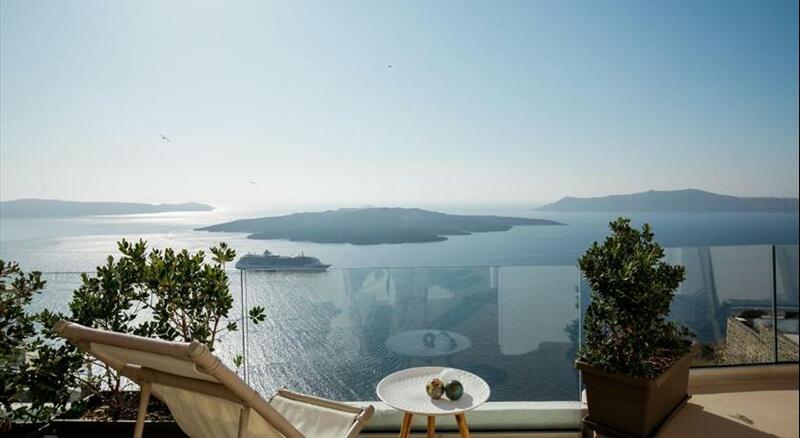 The view from the jacuzzi on the roof is simply breath-taking!!! 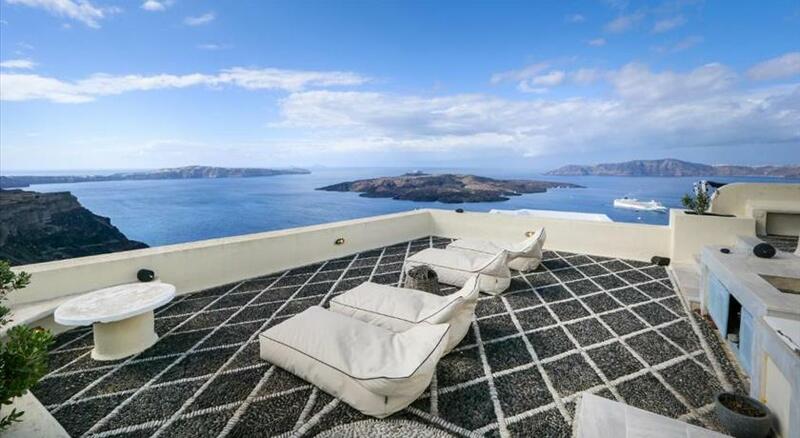 Perched on a cliff in Kato Fira of Santorini , Blue Angel Villa features a sun terrace with hot tub and views over the Aegean Sea and the Caldera . The 17-century villa includes a spacious seating and dining area and an indoor hot tub with mosaic glass tiles. Fitted with vaulted ceilings, Italian tiled floors and built-in beds, the cave villa features a kitchen and 3 bedrooms, one of which is located at the loft. It is equipped with free Wi-Fi, an iPod docking station and a flat-screen TV with DVD player. The private bathrooms feature hand-made ceramic or marble basins and are stocked with bathrobes and slippers. 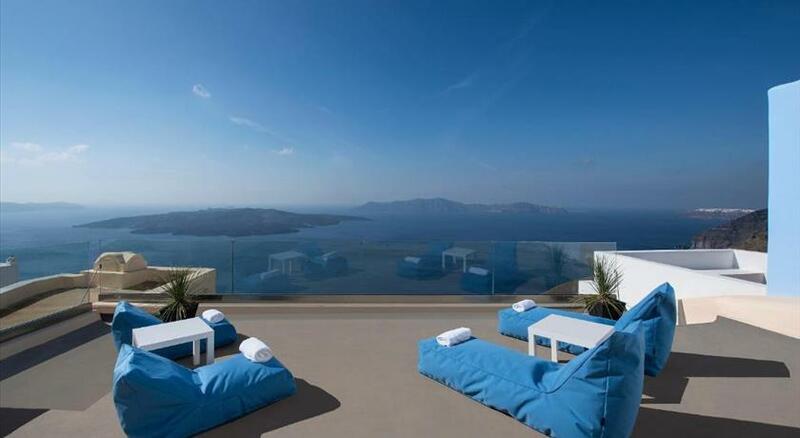 Blue Angel Villa lies within a 10 km from Santorini National Airport and 7 km from Ormos Athinios Port. The centre of Fira, with its variety of restaurants and bars, is at 500 metres, while the nearest beach is at 11 km. Free private parking can be found nearby. All children are welcome. All children under 12 years stay free of charge when using existing beds. There is no capacity for cots in the room. There is no capacity for extra beds in the room. Please inform Blue Angel Villa - Angel Villas in advance of your expected arrival time. You can use the Special Requests box when booking, or contact the property directly with the contact details provided in your confirmation. Please note that the hot tub is not available from 25 November until 28 February. Kindly contact the property in advance for key pickup in case you are not going to use the pick-up service. Please note that breakfast can be served upon charge to reservations where breakfast is excluded from the rate.